What does this mean for us, you ask? 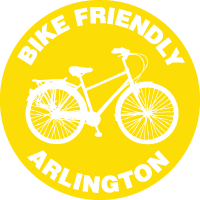 The City of Arlington is already behind the movement to create more livable communities right here, today with the commitment to the Greenways project. 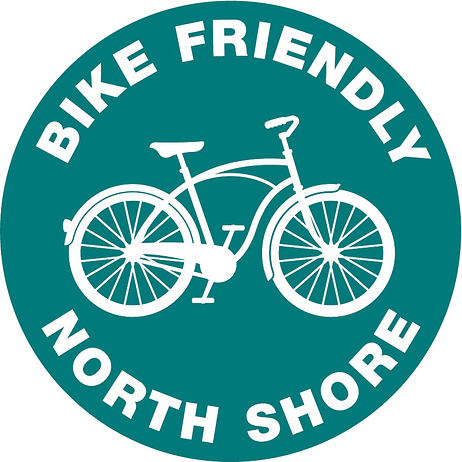 The group is about half way through the year-long process of developing a plan that will help city officials put focus on building sustainable pedestrian and bicycle infrastructure, but they need our help. A large part of the developing the plan comes from the input of the people who use our streets every single day as motorists, pedestrians, and cyclists. Greenways needs the wisdom of the crowds to help identify where to start addressing the issues of our network of streets and sidewalks. You can help today, right now by answering a short, anonymous online survey about how you use the streets in our neighborhoods. 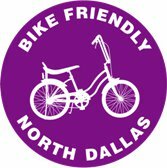 Please take a moment to either fill out the survey, or forward it on to ANYONE that can speak to the existing condition of streets, intersections and sidewalks in Arlington neighborhoods. 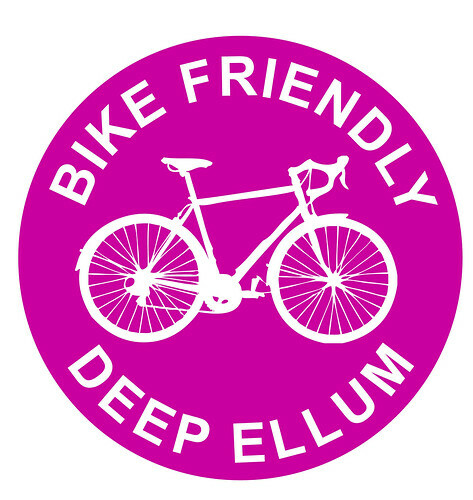 Early response from the Greenways committee and city council have been extremely positive and they’re carefully watching the unprecedented public response. We’re grateful for the support thus far, but know that only a fraction of the hundreds of people that we’ve talked to have yet to make their voices heard. 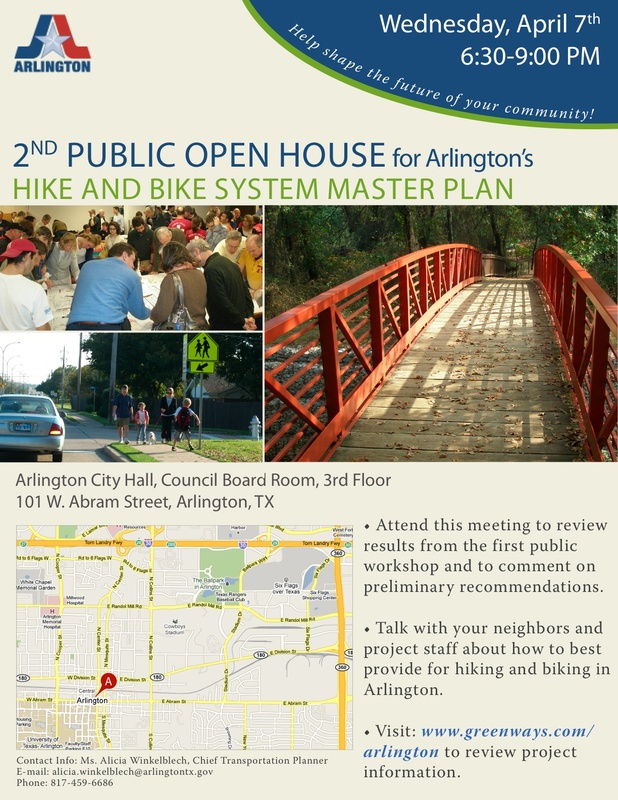 Please take a moment to let Arlington know that we’re serious about helping make the change to our transportation infrastructure a reality. Click here to participate in the survey. When you’re finished, forward the link to a friend. Link to the DOT policy statement can be found here. 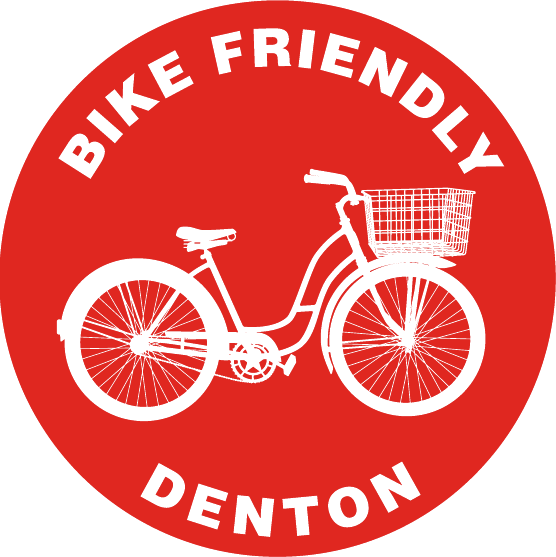 Ride to City Hall for Open House this Wednesday! 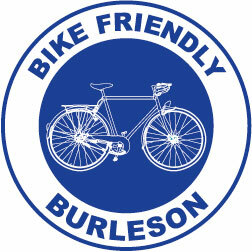 Join BFA for a ride to city hall for the next hike and bike plan public meeting this Wednesday, April 7th! Meet at Fielder Park at 5PM. 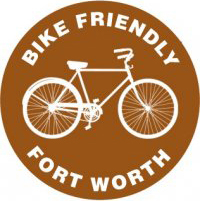 If you can’t make the ride be sure to still make it to the meeting – it lasts from 6:30 – 9:00, come and go in the council board room at City Hall, 101 W. Abram Street. 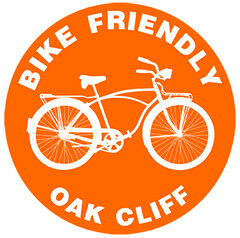 Check out Greenways for more info, and be sure that you’ve filled out the hike & bike survey.